Every five years historians from around the world gather to discuss key topics and themes at the International Congress of the Historical Sciences (ICHS). 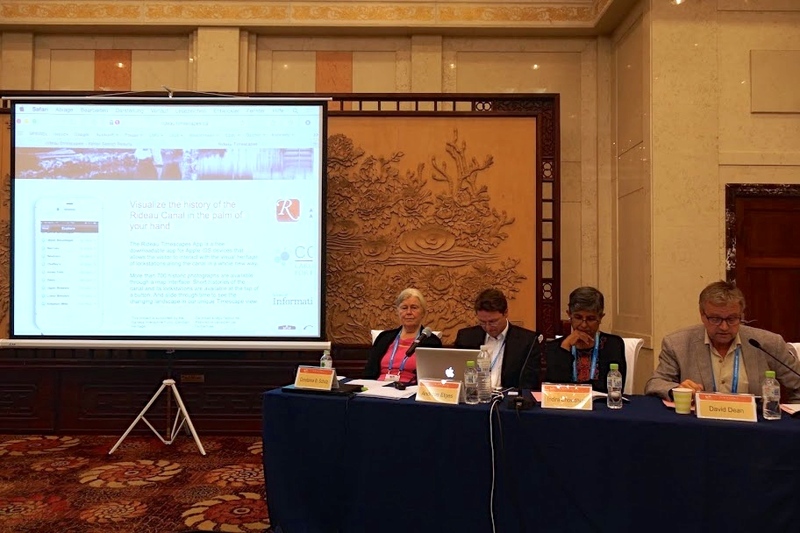 The 22nd Congress met in Jinan, China in August, and featured the inaugural presence of a new affiliated group: the International Federation for Public History (IFPH). Constance Schulz, Andreas Etges, Indira Chowdhury, David Dean. Photo: Serge Noiret. Dr David Dean spoke about Carleton’s public history programme in a panel on Teaching Public History internationally, one of four sessions organised by IFPH. After offering a a genealogy of his own encounters with public history in New Zealand, Britain, and Canada, David emphasised our MA programme’s insistence on conversations between theory and practice, original research, exploring public history across the globe, and community engagement. The panel, chaired by Dr Andreas Etges of the Ludwig-Maximilian University of America Institute in Munich, Germany, featured two other speakers. Distinguished professor emeritus Connie Schultz spoke about the University of South Carolina public history MA’s pioneering study abroad programme in Britain, while Dr Indira Chowdhury, of the the Srishti School of Art, Design and Technology in Bangalore, India, explored the many fascinating projects of the Centre for Public History which she founded in 2011. 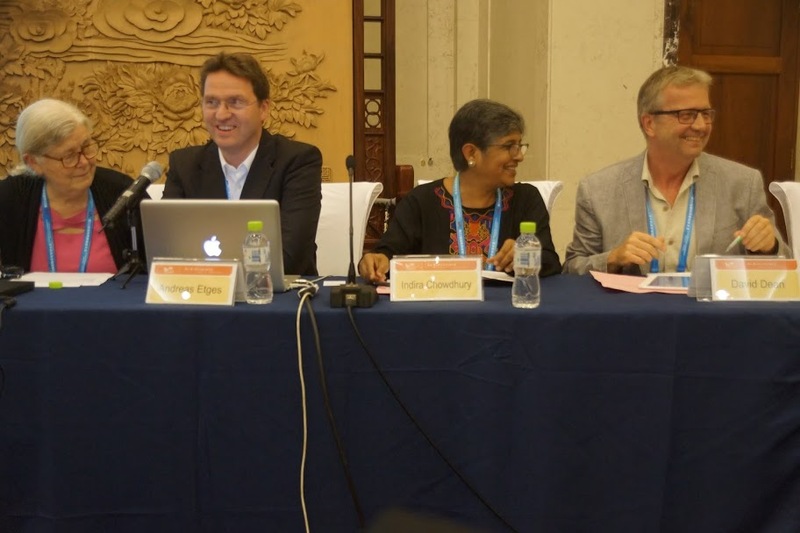 Our department has two interesting connections to the events in Jinan: Public Servant in Residence Jean-Pierre Morin is Vice-Chair of IFPH and recent public history graduate Arpita Bajpeyi is currently working at the Centre in Bangalore. “Being in China on the 70th anniversary of the war against Japanese aggression was also fascinating for any public historian,” David said, and he plans to blog about this soon on his website.